Come to the library on Thursday, April 4th at 7:00 pm and escape the cares of your earth-bound existence by spending an evening amongst the stars! Award-winning astrophysicist Kevin Manning, a former consultant with NASA, will present an educational and entertaining exploration of the universe, the stars, and other celestial wonders for curious people ages 10 and up. 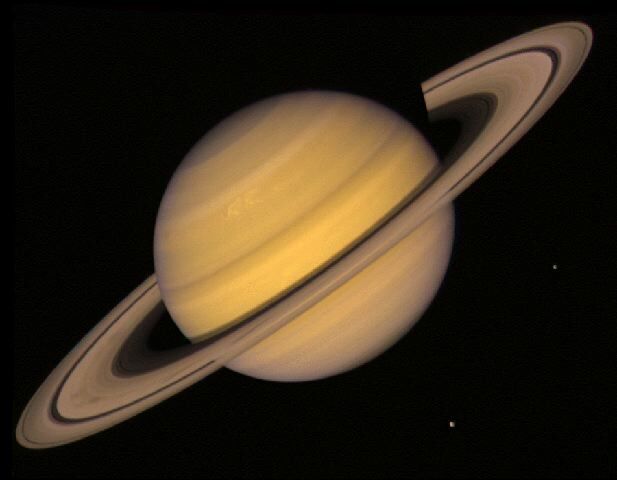 His presentation will feature hands-on activities, gorgeous images, and—weather permitting, of course—a trip outside to view the rings of Saturn and other jewels of the night sky through a powerful telescope. The library will be closed on Easter Sunday, March 31st and will reopen on Monday, April 1st. It may feel a little chilly for spring but no matter what the weather is like, we'll have some great activities for kids over spring break. We'll start with a day devoted to creativity as our Make and Take Craft Day runs from 10:00 am to 8:00 pm on Tuesday, March 26th. Kids of all ages can drop in and make a seasonal craft to take him with them! On Wednesday, March 27th children can dress in their pjs and bring their blanket or special stuffed friend to our 7:00 pajama storytime. Kids ages 3 and up (with caregiver) will want to bring their stuffed animals back on Thursday, March 28th at 11:00 pm for our Teddy Bear Picnic. Steve Beno will blend live music with puppets, stories and movement, perfectly paced for preschoolers. Have you picked up a Museum Adventure Pass from the library yet? Museum Adventure Passes offer free admission, discounted parking and more to some great museums and other institutions in the Chicagoland area. Legoland Discovery Center in Schaumburg is new to the program, offering one free admission to the center. Passes are also available for discounted parking at the Chicago Botanic Garden, free admission to the Brookfield Zoo and more. Passes are checked out at the reference desk or the children's department and can be used once in the week following checkout. The Picasso & Chicago exhibit at the Art Institute is getting rave reviews. To coincide with this exhibition - the first large-scale exhibition of Picasso’s work at the Art Institute of Chicago in over 30 years - art historian Jeff Mishur will return on Tuesday March 19th at 7:00pm to present a slide lecture. 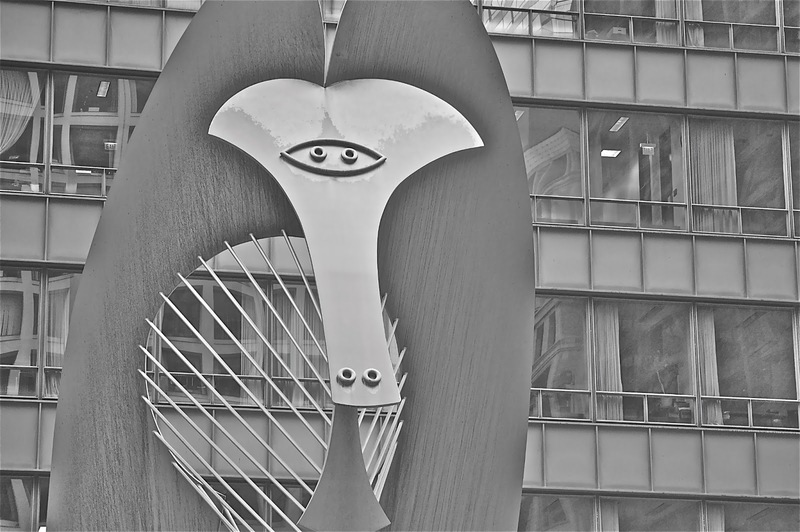 He will look at selected works from Picasso’s long career within their historic context, including the monumental sculpture in Chicago’s Daley Plaza. Mr. Mishur's programs are always popular so make sure you mark this one on your calendar! Meet Our New Junior High Fiction Collection! Come up to the second ﬂoor of the library and check out the brand new Junior High Fiction collection! Whether you read sci-ﬁ, chick lit, fantasy, realistic ﬁction, or mystery, Junior High Fiction has it all. These reads are perfect for kids transitioning from elementary school to high school. Just look for the books with the green labels or browse the collection online. To celebrate the launch of this new collection, kids in 5th, 6th, or 7th grade are eligible to enter a drawing to WIN A FREE BOOK of their choice! Stop by the Junior High collection during the month of March and try your luck. Vertical gardens that create green "living art" are becoming wildly popular in public spaces. On Thursday, March 14th at 7:30 pm local landscape design professionals Phyllis Cheskin and Cathy Litrofsky will show you how you can use this technique in your own yard - near the entrance, on a wall or on a free-standing structure. The program will cover the construction and design of vertical gardens using a hydroponic system, followed by a question-and-answer session. Forget about the snow...spring is almost here and after this program you'll be making that thumb greener in no time! Due to deteriorating weather conditions we will be closing today, Tuesday, March 5th, at 4:00. Unfortunately our 7:00 Dr. Seuss program will be cancelled. We expect to be open normal hours tomorrow.